Mr Cattell opened the discussion of the two types of organs Pipe and Reed and the meeting was open for discussion. After a long discussion no decision was reached as to a definite recommendation to place before Church members and a proposition was put forward. Mrs D.Hyman proposed and Mrs Bellamy seconded that Mr A.Ernest Shipley ARCM LRAM of Leicester be invited to address a meeting of the church and congregation of the two types of organs in question and that after this meeting a ballot should be taken as to which type of instrument should be installed in the Chapel. Mr Cattell was asked to see Mr Shipley and arrange for this meeting as soon as possible. It was reported that on Monday June 8th Mr Shipley of Leicester would speak on Pipe and Reed Organs after which a meeting would be taken to decide the type of organ to be installed in the chapel. The Organ Scheme. The votes recorded in connection with this were for pipe Organ 22 for reed Organ 11. Mr Walker expressed thanks to Mr Shipley for his lecture on organs. Proposed by Mr Taylor seconded by Mrs Bellamy that the Organ Committee proceed with estimates and the business connected with the installation of a pipe organ. Mr Vann wished his resignation from the Organ Committee to stand, thus leaving the committee composed of Mr Walker, Mr Archer and Mr Cattell. 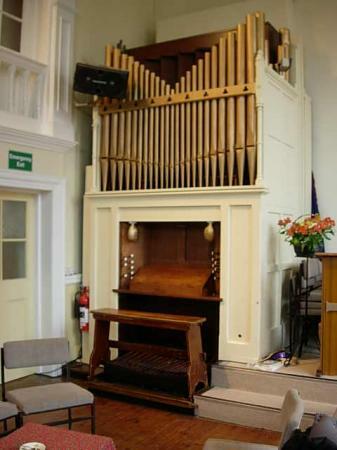 New Organ, Proposed by Mr Roberts seconded by Mr Cattell that the recommendation of the Officers be accepted subject to the cost of running the electric blower not being excessive. 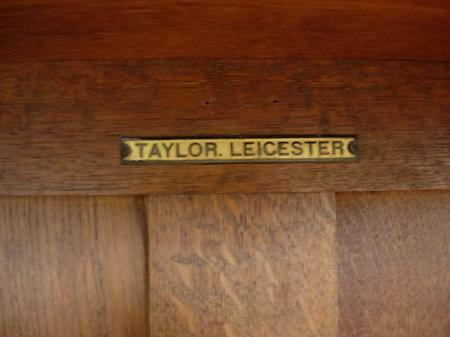 The recommendations of the officers was that the estimate and specifications of Messrs Taylor of Leicester for a two manual organ complete with electric blower at a cost of organ at £210 and blower £30 be accepted. Proposed by Mr H Vann, seconded by Mrs Bellamy that we accept the offer of Mr M Hyman to carry out the wiring necessary for the electric blower for the organ at the cost of materials. 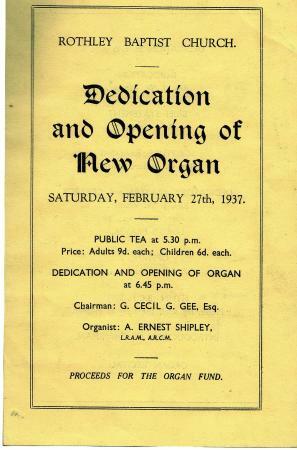 This was the date of the opening ceremony for the new organ. 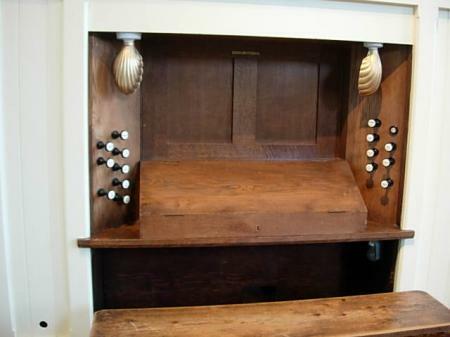 It was proposed by Mr Thomas, seconded by Mr Roberts that this be left to the Organ Committee. It was further agreed that Miss Hyman and Mr A Vann be co-opted to this committee for this event. Accounts had been rendered by Messrs Coltman for re-painting and varnishing of the organ and Messrs Taylor for the building and erection of same. It was agreed that Messrs Coltmans account and first instalment of Messrs Taylors be paid. Proposed by Mr Taylor, seconded by Mr Morris that Messrs Taylor be approached re a discount for final settlement at once. Decided to make no further appeals for the Organ Fund for the time being. XHTML 1.0 validated. WCAG compliant. Page generated in 0.2329 seconds.